Straight through the hip and thigh, with a tapered, but not narrow, leg. 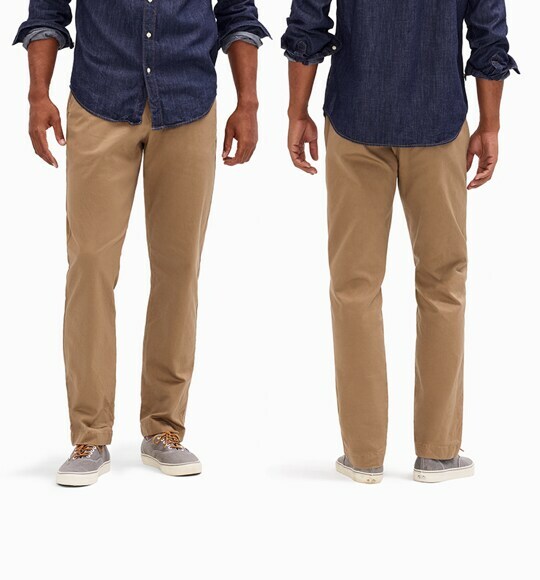 Relaxed through the hip and thigh, with a slightly tapered leg. Roomier through the hip and thigh, with our widest leg. We love denim as much as the next guy (probably more). But every so often, you go someplace (work, for example) where you need to switch it up. 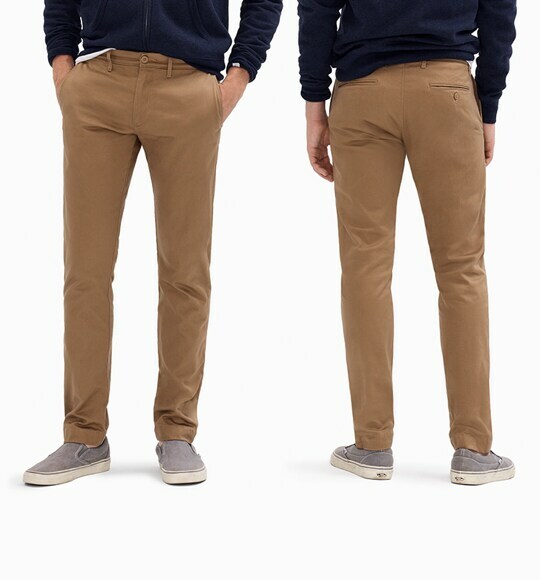 Luckily, as our collection of men's pants, slacks and chinos (aka khakis) proves, the right pair can be every bit as cool as your basic blues. 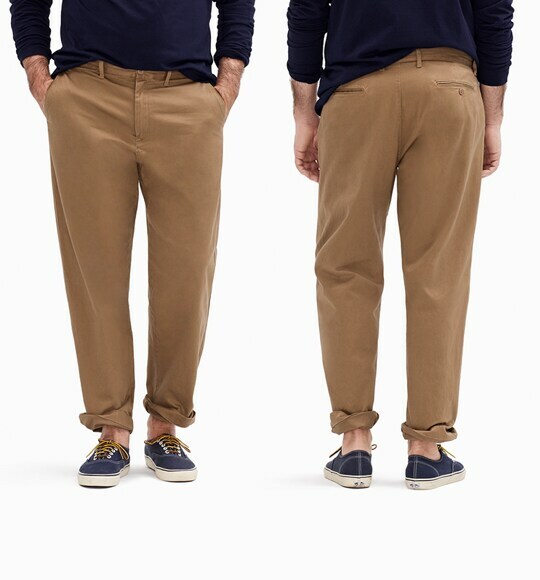 In the case of our lightweight linen pants, they're (literally) even cooler. And they come in lots of interesting colors, both neutral and not so much—harbor pink, anyone?—because we don't think business casual has to mean boring. 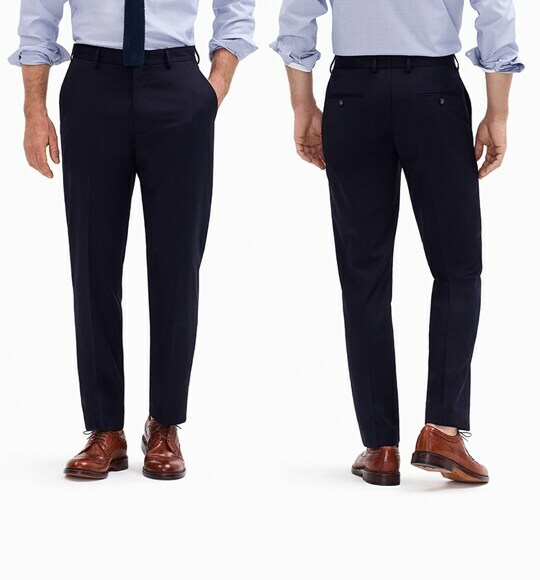 Of course, we've got plenty of stylish suit pants too: Both our slim-fit and classic-fit pants are cut from refined fabrics from the world's best mills (think: American wool, Japanese seersucker, Italian chino). So give your denim the day off. Our dress pants and suit trousers will make you look supersharp…no jacket required.